Our commitment to professional, compassionate service is reflected in our history and the outstanding individuals we employ. We’re proud to share our journey with you, and to introduce the team of professionals who dedicate themselves each day to achieving our vision of excellence in all that we do. Why use Good Shepherd Pet Crematory & Cemetery Services? Location - We are local and feel that many of your clients will be at ease by knowing that their pet is not being transported out of town for cremation, and the same care and respect will be given to their pet as is given to the deceased of families we serve at our funeral home. Service - We will with no doubt provide the quickest and most respectful service to our vet offices and community, than any other pet cremation provider. Facilities - Our facilities are unparalleled to any other. Any anyone can visit our Pet Office or inspect our Crematory area at anytime, we have nothing to hide and are proud of our facilities. The future - We are members in good standing with CANA (Cremation Association of America) as well as the PLPA (Pet Loss Professional Alliance). 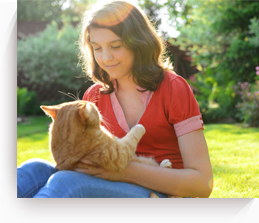 This enables us to offer the latest and updated merchandise and services in the pet death care industry. This is a business and undoubtedly like all business charges are essential. We may not always be lowest in our charges, but are a Professional Service to you and our community. Our reputation in the communities we serve speaks for itself. Boles Funeral Home - Boles Funeral Homes and Crematory, Inc. was founded in 1984 by James L. Boles, Jr. Boles takes great pride in being independently owned and family operated. There are six funeral home locations in Southern Pines, Pinehurst, Seven Lakes, Red Springs, Rowland and Sanford. We also own and operate Longleaf Crematory on our premises at our Southern Pines location. To view our website, please click here.